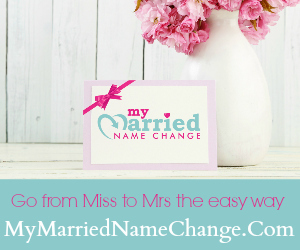 The Budget Bride Company offer a Wedding Venue Finding Service for our Brides. We have the industry know how and over a decade of experience searching for quality venues and negotiating the best possible rates for our clients. We can save you time, money and effort with our wedding venue finding service and we can’t wait to receive your requirements to help you find your perfect wedding venue. Below are some answers to questions we are often asked. However, if you cannot see the answer you need below, please don’t hesitate to contact us and we will do our best to assist! ♥ Why should I use this Venue Finding Service? 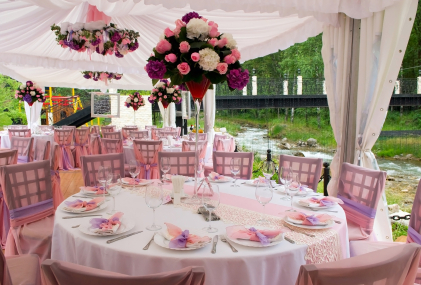 Finding a wedding venue can be a very time consuming activity! We have the contacts and experience to find the venues that best suit your needs without you having to spend hours on the phone or internet when you could be using that time to arrange other elements of your wedding. We do all of the hard work, so that you can relax and concentrate on the other areas of your wedding planning! We will carry out our research to find the best venue fit for your requirements and we will arrange for the ideal venues who are able to meet your needs to get in touch with you to arrange your viewing. We will find you a minimum of three venues and a maximum of five venues for you to review. If you would like to see more than five venues, then an additional fee will be charged. ♥ How well do you check the Venues that you recommend? We monitor standards and service levels at hotels and venues based on client feedback on an ongoing basis. ♥ What kind of wedding venues do you recommend? From Castle weddings in Scotland to Beach weddings in Cyprus, we have it covered! Our aim is to find you a venue that fits your requirements and comes in on your Wedding Budget, wherever in the world that may be. As we are not tied in with any venues, we will simply find the best venue for your needs. 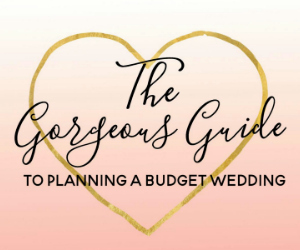 “The Budget Bride Company provides a fantastic service for stressed out brides! They do all of the hard work for you and nothing is too much trouble. You can tell they really enjoy helping and they are very easy to contact. Highly recommended!” Kellie, Northamptonshire. Get in touch today by filling out the form here or by emailing us at venues@budgetbridecompany.co.uk and we will get started with finding you your Perfect Wedding Venue! We can’t wait to hear from you and look forward to finding your perfect wedding venue.